~The first full assessment of risks to the world's coffee plants shows that 60% of 124 known species are on the edge of extinction. More than 100 types of coffee tree grow naturally in forests, including two used for the coffee we drink. Scientists say the figure is "worrying", as wild coffee is critical for sustaining the global coffee crop. About one in five of the world's plants is threatened with extinction, and the 60% figure is an "extremely high" one. "If it wasn't for wild species we wouldn't have as much coffee to drink in the world today," said Dr Aaron Davis of the Royal Botanic Gardens, Kew. "Because if you look at the history of coffee cultivation, we have used wild species to make the coffee crop sustainable." originated in the highlands of Ethiopia. 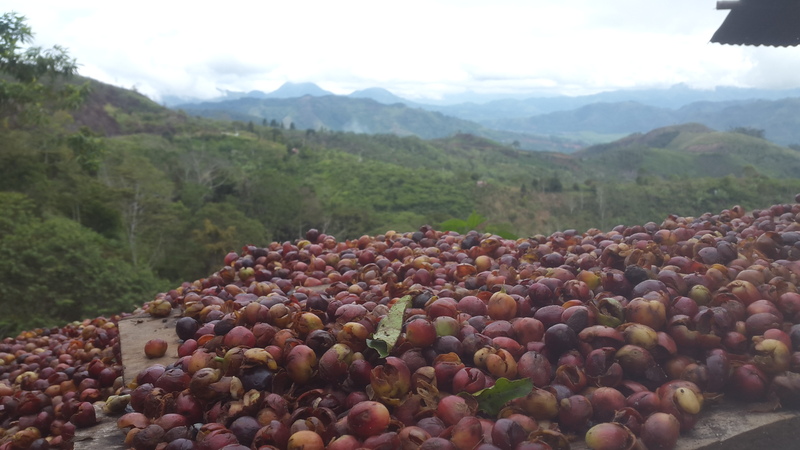 Research published in the journal, Science Advances, found conservation measures were "inadequate" for wild coffees, including those considered "critical" for long-term global coffee production. The study found that 75 wild coffee species are considered threatened with extinction, 35 are not threatened and too little is known about the remaining 14 to make any judgement. Furthermore, it was found that 28% of wild coffee species grow outside protected areas and only about half are preserved in seed banks. Ethiopia is the home of Arabica coffee, where it grows naturally in upland rainforests. "Given the importance of Arabica coffee to Ethiopia, and to the world, we need to do our utmost to understand the risks facing its survival in the wild," said Dr Tadesse Woldemariam Gole, of the Environment and Coffee Forest Forum in Addis Ababa. What is wild coffee and why do we need it? Many coffee drinkers are unaware that we only use the coffee beans from two species - Coffea Arabica and Coffea robusta - in the thousands of different blends of coffee on sale. In fact, there are 122 coffee species on top of that which occur naturally in the wild. Many of these wild coffees do not taste good to drink, but may contain genes that can be harnessed to help coffee plants survive in the future, amid climate change and emerging diseases that attack coffee trees. In the longer term, we will need to call on wild species to safeguard the future of the world's coffee crop, say researchers. "We will call on those wild resources time and time again," said Dr Davis. How does coffee compare to other plants in terms of extinction risks? Globally, about one in five plants is threatened with extinction, compared with 60% for coffee. As a comparison, about half of wild tea and mango species are threatened with extinction, 6% of hazelnuts and 9% of pistachios. Where is wild coffee found? The vast majority of wild coffee grows in the remote forests of Africa and on the island of Madagascar. Beyond Africa, wild coffee is found in other tropical climates, including parts of India, Sri Lanka, and Australia. What types of coffee do we drink? Global coffee trade relies on two species - Arabica (Coffea arabica) and Robusta (Coffea canephora). A third species - Liberica (Coffea liberica) is grown around the world, but is rarely used for coffee drinks. What are crop wild relatives? Crop wild relatives are wild plants that are genetically related to cultivated crops. They continue to evolve in the wild, and can be crossed with domesticated crops. They have been used to improve the yields and nutritional quality of crops since the dawn of agriculture. What are scientists calling for? They say we must understand the risks to coffee farming and make sure we have the resources in place to overcome threats. Coffee trees, like many tropical plants, have seeds that do not survive the freeze-drying process used in conventional seed banks - 45% of coffee species have not been "backed up" outside the wild. Dr Eimear Nic Lughadha of Kew said this is the first time an IUCN Red List assessment has been carried out to find the extinction risk of the world's coffee, and the figure of 60% is "extremely high". "We hope this new data will highlight species to be prioritised for the sustainability of the coffee production sector, so that appropriate action can be taken to safeguard the species," she said.